A delicate little pendant with depth and meaning. 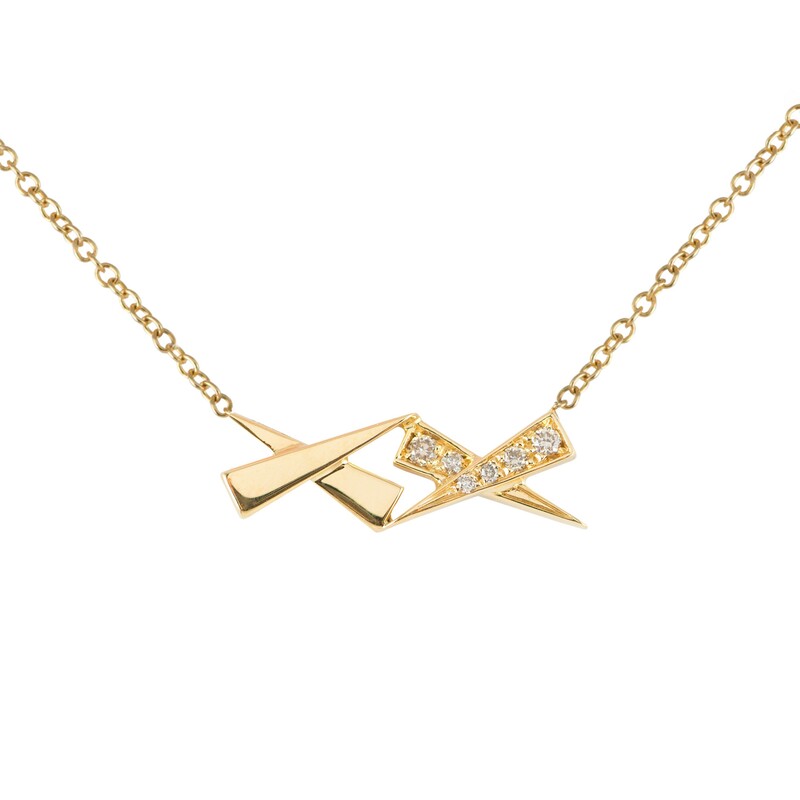 Two kisses one in solid 18 carat gold and the other in diamond pave are linked forever and suspended from a fine chain. The Kisses pendant makes a perfect gift and a sparkling treasure. Champagne diamonds set in 18 carat yellow gold.